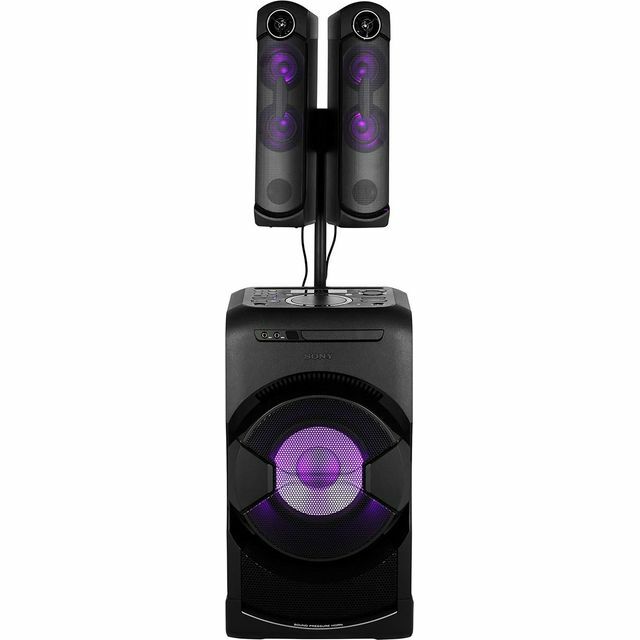 You’ll have no problem throwing unforgettable parties with this high power Hi-Fi system from Sony. With 600 Watts of output and a built-in subwoofer, you’ll get booming sound and great audio clarity – even when you turn the volume all the way up. There’s a CD player too, meaning you can dive into your old collection of CDs and listen to all your favourites. Plus, the FM tuner means you can catch the breakfast radio show on a chilled morning. There’s also a USB port, so you can easily access your playlists from your phone. This speaker system is absolutely brilliant. It’s large, it’s loud it’s got lights and some great features but above all else, it sounds great for the price. It’s so easy to set up and move around and the flexibility you have in configuring the speakers is so convenient. 10/10 would recommend if you have the space.